Open to unemployed women and elderly residents of Tower Hamlets. Find below details of our cuurent weekly classes. A welcoming, pre-ESOL English classes for women who want to learn English in a friendly, approachable environment. Held in three locations each week during term time, this is a free class taught by women. These classes have been running since 1999, and have had great successes in inspiring and empowering women into various progression routes, volunteering, further education or just to meet more women in their area. If you know someone who you think would benefit from these classes, please get in touch. Get in touch to find out more details and check place availability. 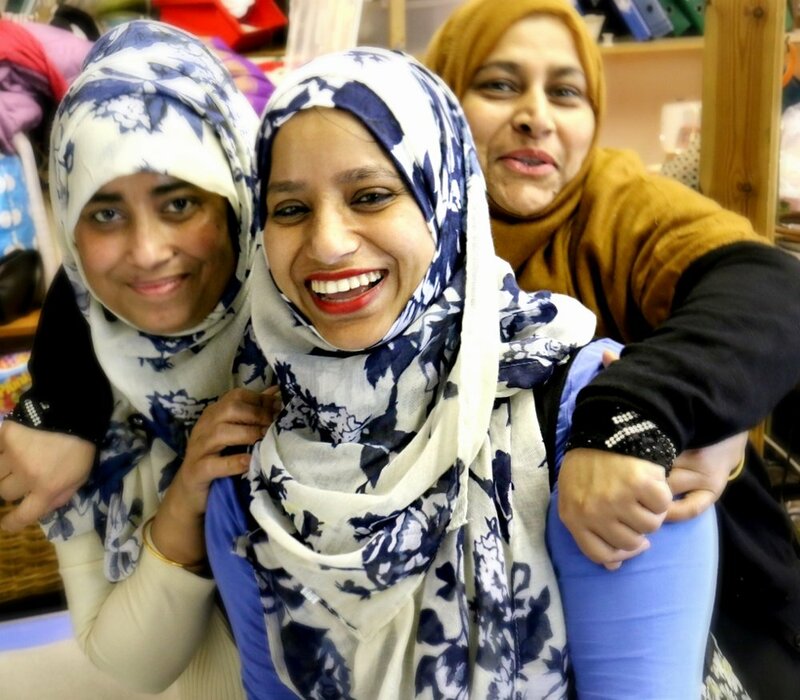 This weekly class provides a space for local women, not in work, to come and learn basic sewing and garment construction techniques, taught by one Bengali and one Arabic speaking women. Industrial and domestic machinery is used for women to familiarise themselves with skills needed to sew almost any item. These over subscribed classes are only open to women who are not working at the moment, and there is a waiting list. We provide free, industry standard garment manufacturing classes for local women who are interested in potentially progressing into work in sewing. Classes are for women out of work who have an interest in sewing, and want to learn more about what skills are needed to get to a professional standard. Held alongside our FabricWorks enterprise, there is opportunity to learn about how our enterprise works, how to undertake commissions, chances to gain volunteering experience and learn how to make professional children's clothing inspired by our own brand Mini Stitches. A weekly embroidery class open to over the 50's, and anyone else who fancies spending two hours per week embroidering whilst chatting with local women with great knowledge of the area. This group has been meeting for over 20 years, and has embroidered on items for Kensington Palace, Kew Gardens, the Mercers, and are about to start a project for St Paul's Cathedral. 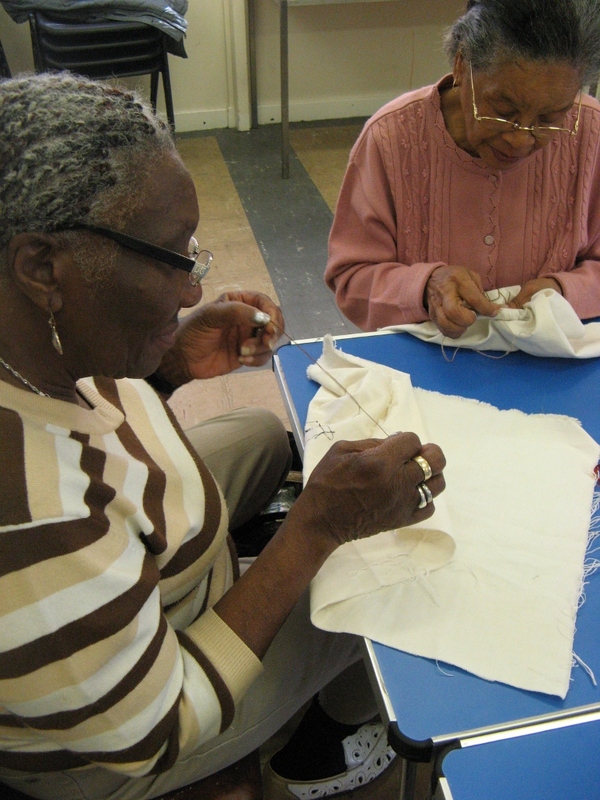 We are looking for more over 50's to join our group, but also welcome all ages to come and take part in some sewing.